04. GERARD DEPARDIEU - Dis, quand reviendras. tu? 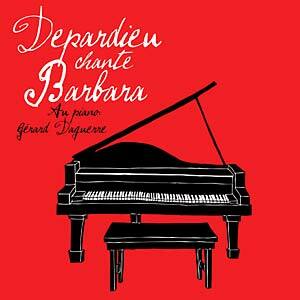 Depardieu Chante Barbara is a collaboration between acclaimed French actor Gérard Depardieu and pianist, conductor, and arranger Gérard Daguerre, who came together to record songs originally made famous by their former collaborator, French chanson star Barbara (1930-1997). Depardieu has always proclaimed his devotion to the woman with whom he performed Lily Passion in 1986, and Daguerre was Barbara's musical partner for 17 years until her death. Daguerre wanted to make sure that "the path opened by Barbara continued and the adventure went on." 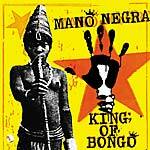 In this spirit, he recorded an instrumental album and played it for Depardieu, who decided to sing two songs: "Nantes" and "A force de," written by his son for Barbara. The pair recorded at Barbara's former home in Précy-sur-Marne, France, and emerged with 14 songs marked by a raw sensitivity and the magical surroundings of that location. Gatefold sleeve with printed inner sleeves.